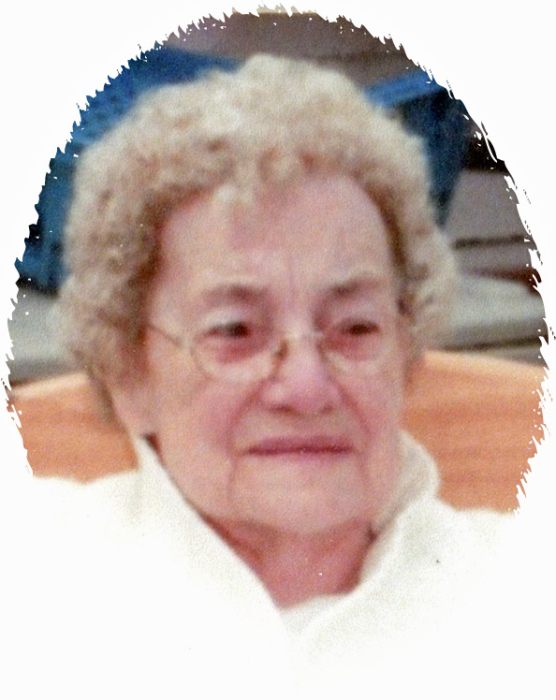 Doreen V. Eckstrom, 93, Pengilly, passed away Saturday February 9, 2019 at Cornerstone Villa in Buhl. Doreen was born November 21, 1925 to Theodor and Anna Bjelland (Hay) in Bennett Location, MN. She was a longtime resident of Pengilly. She was a member of East Side Neighbors in Pengilly and was a Den Mother for the Cub Scouts. Doreen had a talent for needlepoint often creating beautiful patterns freehanded. Doreen was a kind, loving mother, grandmother and great-grandmother, she loved each and every one of her relatives and friends whole heartedly. Doreen was preceded in death by her parents Theodor and Anna, husband Roy, children, Charles and Russell Eckstrom and Loni Killian, siblings, Laura, Art and Cliff. She is survived by her children Larry (Bev) Eckstrom, Bob (Jane) Eckstrom, John Eckstrom, siblings, Edith Frink, George (Elaine) Bjelland, Dolly Johnson, seventeen grandchildren and many great and great-great-grandchildren, nieces, nephews, relatives and friends. Celebration of life will be held at 1:00 PM, March 2, 2019 in the Lone Pine Town Hall, 15151 Co. Rd 12 (East Shore Drive) Pengilly. Interment will be at the Nashwauk Cemetery at a later date.